Trombone players almost always start on a rented trombone. 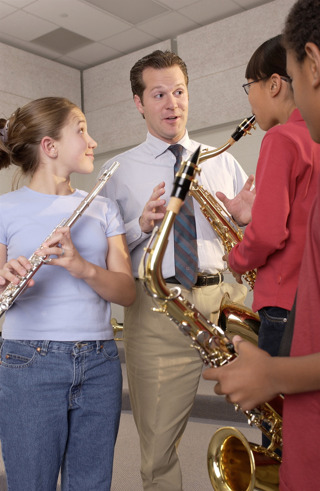 Renting allows the player (and his/her parents) to see how serious and dedicated they are before investing in a trombone. The rental trombone can take the initial dents and wear-and-tear of learning how to handle and care for a trombone. Kids sometimes want to switch instruments; renting allows switching at minimal expense. The Maintenance & Replacement plan fixes any damage and replaces the trombone if it's lost or stolen. 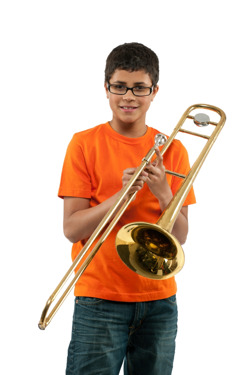 Most trombone players will move up from the beginner trombone to an intermediate or performer trombone. Trombones are available with some options. Renting gives the player a chance to see which is most appropriate for them. 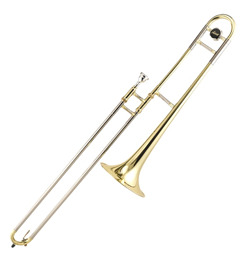 A portion of the rent can be applied to the purchase of a trombone. Renting a trombone is simple and inexpensive — rent is as little as $25 per month. You may continue renting for as long as you like or you may return it to Amro. Service in your school. Amro's representative comes to the school regularly to see that all instruments are playing properly. An instrument that is checked and adjusted by professional instrument technicians and is guaranteed appropriate to learn on.